Dedicated to UK carers and those they care for. 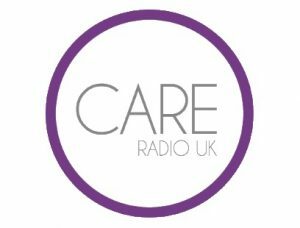 Powered by MyLiferaft, Care Radio UK is an independent on-line radio station supporting carers across the UK delivering lifestyle support, health and well-being, news, views, conversation and real listening help. Our new podcast is live and available to listen to anytime, anywhere. Founder & CEO of MyLiferaft – Nicola Murgatroyd – as a mother, Nicola’s 1st hand knowledge of looking after her daughter Faith, who had multiple complex special needs, created a desire to make sure other parents and carers in her position were better supported. In this open, honest and moving conversation, Nicola talks about her family life, the challenges and joy of being a carer, gives some candid advice for carers across the UK and how all this inspired her to create MyLiferaft. Listen here. Alison Carr – Alison talks about her son Fraser who was nine years old when he contracted encephalitis, a rare but serious inflammation of the brain usually caused by a virus. Alison talks openly about her family’s struggle, gives her views on funding for Carers and the testing of her personal resilience. Listen here. Kay Smith – Kay is a Patient Ambassador for the NHS and lives with Lupus, an autoimmune disease which means palliative care for Kay. In this interview, Kay talks frankly about her life, how the discovery of virtual reality technology eases her pain and why she is determined to live her life to the full while helping others through her campaigning and the positive sharing of her experience. Listen here.